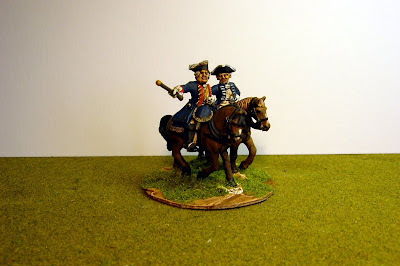 Frederick II command base. 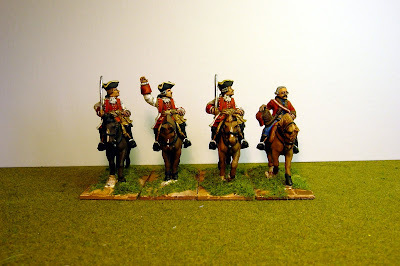 He liked to give orders to his horses by tapping them between the ears with his cane. 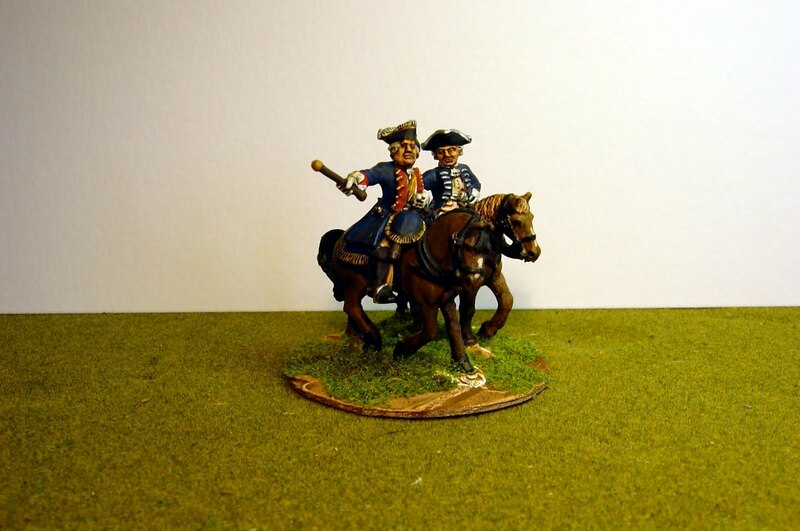 Lieutenant General Seydlitz (CR8)(Front Rank) presumably telling his kettledrummer to stop that wretched noise. Lieutenant General Lieutenant General Friedrich von Forcade de Biaix (IR23) is actually the same figure as Goltz below but he has been converted by removing his cane and right hand, changing the shape of the arm and adding a sword. 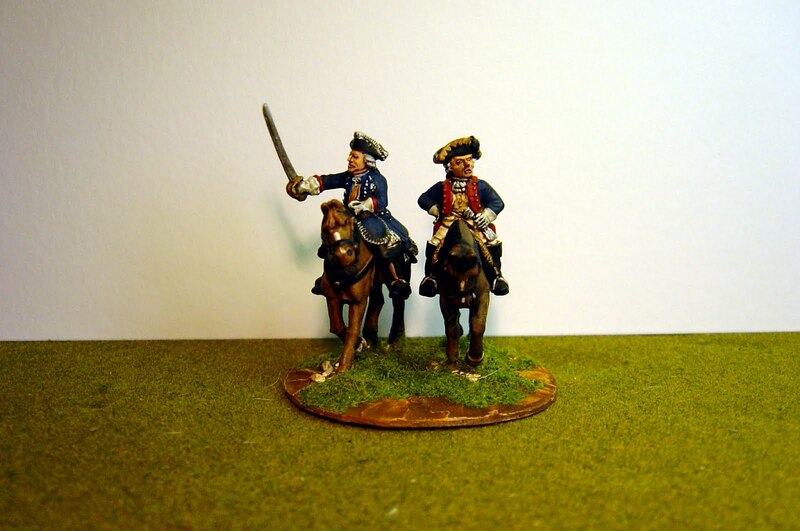 Lieutenant General Carl von de Goltz (IR24), a Foundry figure, next to a Front Rank figure. 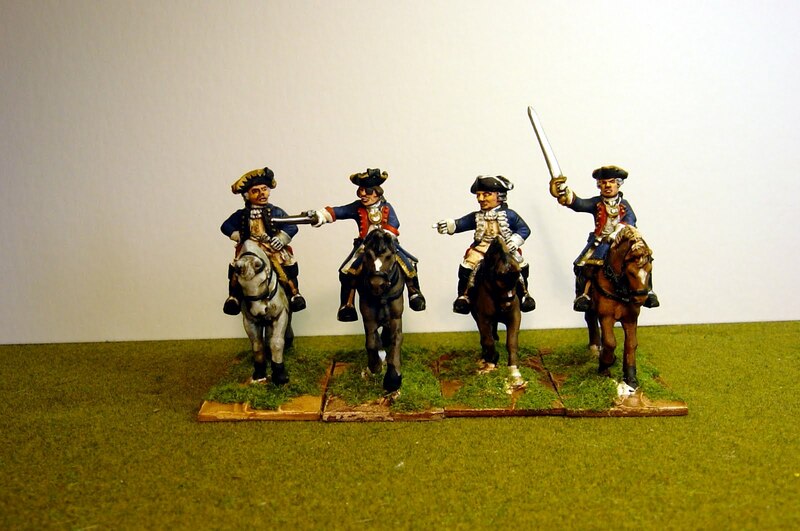 Four Prussian generals of Brigade: Schoning (IR46), Hagen (IR8), Itzenplitz (IR13) and Bornstedt (IR20). These are the finished versions and the painting method is described in the bottom picture. 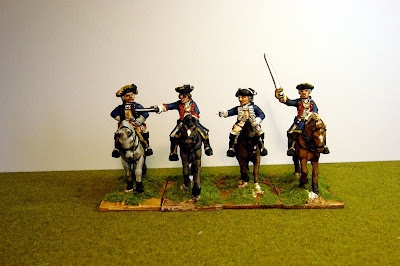 Four Austrian generals of Brigade: Kottendorf, Angern, Haller and Draskowitz, a light cavalry general commanding the advance guard. 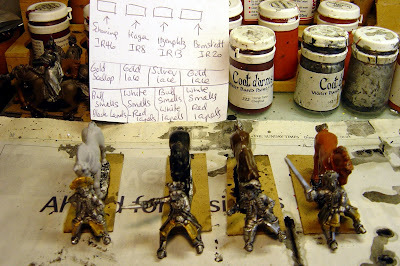 Prussian generals wore regimental uniforms so to paint them you have to name them first. This picture shows the preparation involved in that. From left to right they are Schoning, Hagen, Itzenplitz and Bornstedt, Inhabers of regiments 46, 8, 13 and 20. 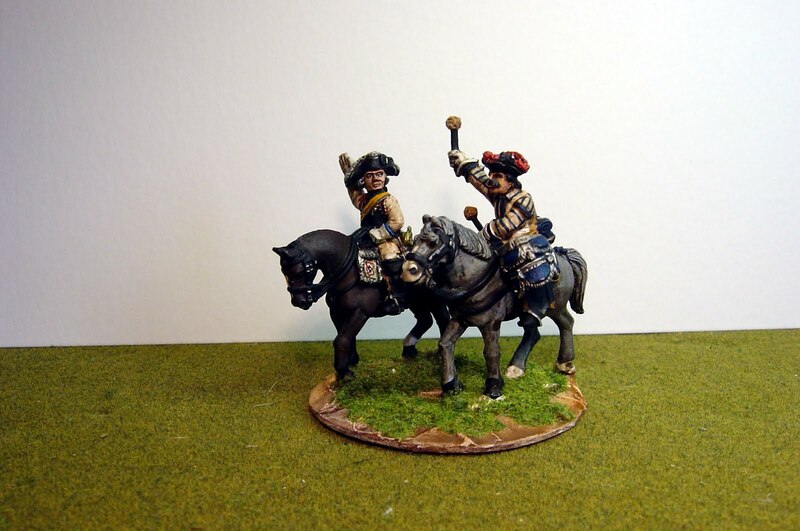 Then the figures need to match the personalities - in this case the Front Rank figure on the left has scalloped hat lace and that fits perfectly for IR46. The second figure from the left (Foundry) wears an eye patch but it was not possible to find out this level of detail so he was made into 'Hagen' anyway. 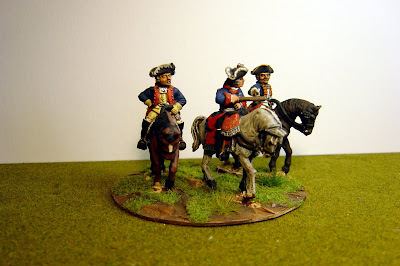 Really great painting style, and figs! This time, Draskowitz is my favourite...but they are all really impressive!